A desperate letter from her best friend sends Lady Jane rushing from her cozy Cornwall home to the remote reaches of Northumberland. Alison’s frantic plea for help hints that something sinister is going on in the gloomy halls of Winton Park, so Jane braves the misty moors in the dead of winter to get to her pregnant and bedridden friend. A menacing sense of doom grips Jane the moment she arrives at the isolated Victorian estate. 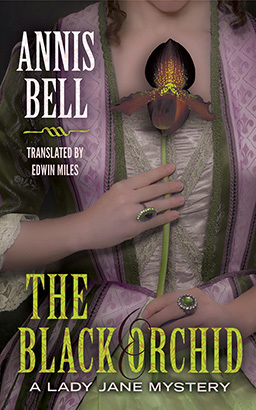 Charlotte, the lady of the manor, suffers mysterious fits and fainting spells, while her husband ignores his family to obsess over his orchid collection and the pursuit of the elusive and priceless black orchid. When Lady Charlotte’s maid is found dead on the moors, Jane realizes that sickness and greed are not Winton Park’s worst afflictions. Now they have a murder on their hands. Only someone as inquisitive and determined as Lady Jane can uncover the dark secrets that link these events. Can she do it before another life is lost?